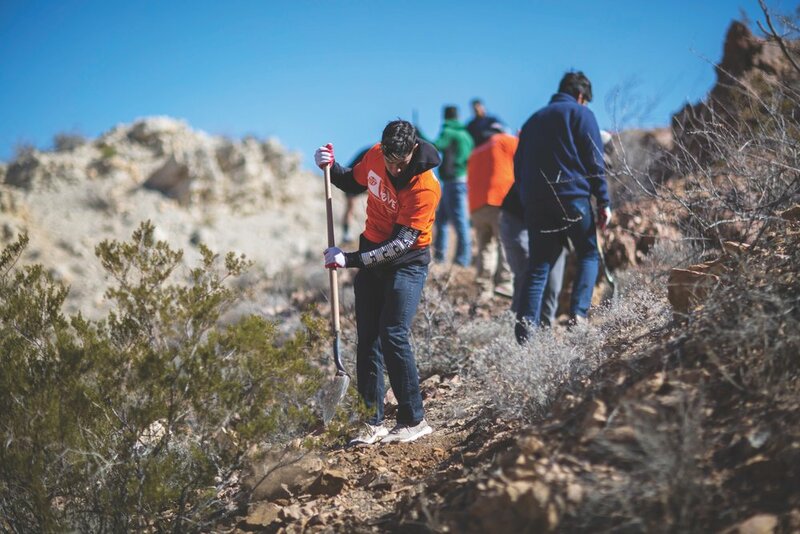 Approximately 1,000 members of the Miner Nation participated in The University of Texas at El Paso’s ninth annual Project MOVE (Miner Opportunities for Volunteer Experiences) on Feb. 24, 2018, at about 50 borderland sites and beyond. Students, staff, faculty, alumni and friends cleaned, patched, painted, landscaped, organized and performed other duties for dozens of nonprofit agencies. 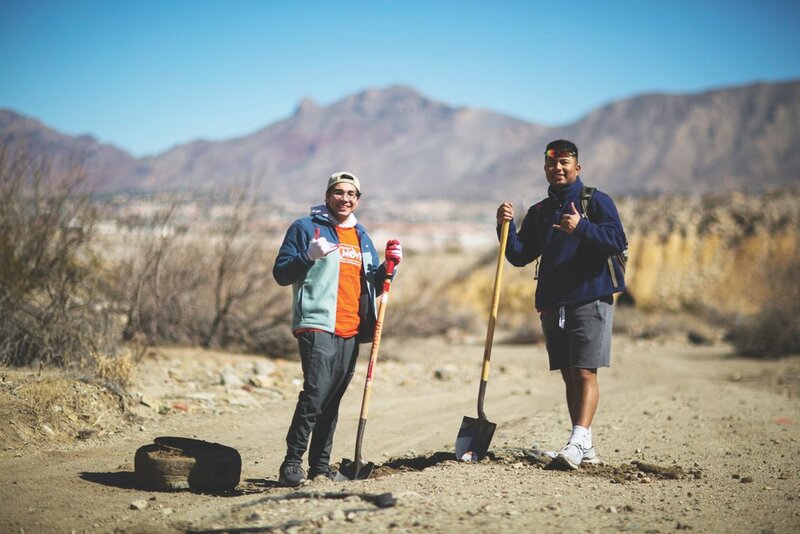 Project MOVE was created as a community service vehicle to build camaraderie, citizenship, leadership and volunteerism within the UTEP family. An associated goal is to introduce participants to different parts of the community, and the diverse agencies that serve it and its residents. In one case, an interdisciplinary group of 20 volunteers from UTEP’s Student Support Services Program painted the inside and outside of a Lower Valley home and cleared debris from the property owned by a disabled veteran and his wife.